So I’m heavily into customising my Star Wars: Legion miniatures. My latest effort is this 501st Legion squad leader. 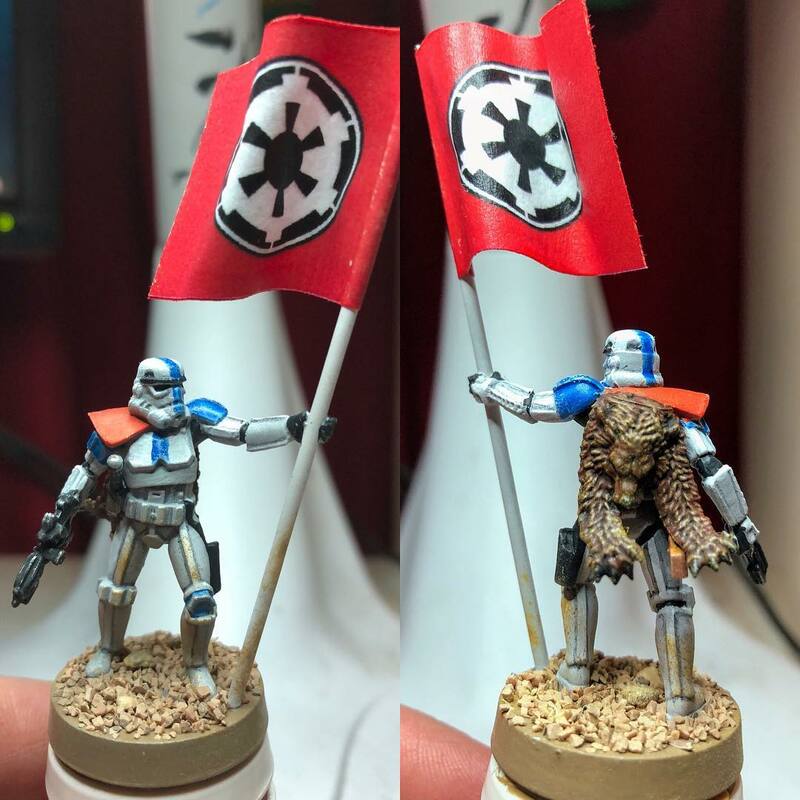 I created the flag using this great tutorial; the figure painting on Sorastro’s wonderful Youtube video, though my paint job is no where near as professional as his. I am strictly a table top quality painter. The pelt is from a Warhammer 40k Space Wolf box. The flagpole is a length of white-plastic wrapped wire. Basing is two grades sand material: a few larger pieces glued individually followed by painting on watered-down PVA and a dip in a bucket of smaller grade. There are a few more touch-ups and some weathering to complete, then the model will be sealed with a matte spray followed by some desert grass applied to the base. I’m proud of this model and I think the burst of colour among so much white of an Imperial army will make it stand out.